CONGRATULATIONS!! You have successfully clicked on Ireland's best & most informative driving school website. 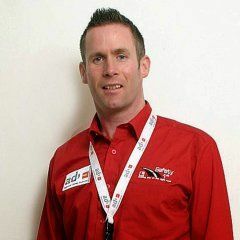 Automatic Lessons Dublin surged into the driving school industry in July 2006 My name is Ian Daly and I´m a fully RSA Approved Driving Instructor (A.D.I) since April 2008, one of the first ADI’s from Dublin. If you want to learn to drive in an AUTOMATIC OR MANUAL car you’ve come to the right place. You’ll receive top quality driving lessons in the North Dublin and North County Dublin. If you want to pass your driving test FIRST TIME in Finglas or Raheny, look no further than SAFETY 1ST DRIVING SCHOOL. With 20 years driving experience and at 38 years of age I still remember what it was like when I was learning to drive. Grasping the skill of learning to drive a car for me was one of the most difficult goals I ever overcame in my life. It took a long time for me to control the clutch and stalled the engine nearly every time I had to stop. I found use of the gears so difficult and felt I had to take my eyes off the road to check my gear the whole time. For the reasons above and many more I know exactly what it is like for a TOTAL BEGINNER. "I know what you are going through"
I’m incredibly patient and easygoing but meticulously detailed at the same time. I spend time explaining every new skill professionally with use of explanation (talk through), visual aids and demonstrations. In this way you’ll develop quicker and be ready for what could go wrong. Remember! Forget the rest - Learn from the best - PASS your driving test!! In operation since 2006, I'm one of only 4 driving instructors who provides AUTOMATIC & MANUAL driving lessons in North Dublin and North County Dublin. REMEMBER! FORGET THE REST - LEARN FROM THE BEST - PASS YOUR DRIVING TEST!! Checkout our video below!! Over 10 years as a RSA-ADI instructor, SAFETY FIRST, why choose another school? Patient, easygoing and top quality instruction and easy to understand. Door to door collection and return home or finish the lesson at your required location.